Readers following this project for any amount of time will likely detect my fondness for unconventional, quirky and sometimes just plain eccentric female artists. Kate Bush, naturally, is this category’s prototype and arguably still unmatched master, and one can easily draw a straight line from her to Tori Amos to Fiona Apple to Nellie McKay. Along the way, I’ve connected others whom, while not necessarily as original or perhaps weird nonetheless created spaces for themselves in the music industry while not fully conforming to its norms: Joni Mitchell possibly did this first and best, but don’t discount Aimee Mann, Liz Phair, Sam Phillips, Róisín Murphy or Florence Welch, to name but a few who forged their own paths. As for artists emerging in the past five years, Héloïse Letissier, who records under the pseudonym Christine and The Queens, is the most promising addition to this list. Based in Paris, Letissier released her predominantly French-language debut album Chaleur Humaine (“Human Warmth”) at age 26 in 2014 and reissued it in America under the title Christine and The Queens a year later, rerecording many (but not all) of its vocals in English, and swapping out two of the original’s songs for three new ones. Complicating things further, this English version came out in Europe the following year with Chaleur Humaine as its title and was a massive hit, charting at number two in the UK. As an American, it’s the self-titled version I know and love. Upon my first listen in late 2016, it wasn’t Letissier’s voice (better-than-average, if occasionally reedy) or sound (laptop enhanced, 80s-tinged electro-pop) or even playfully peculiar sensibility that caught my ear, although all these things would fortify my interest over time; no, what really struck me was Letissier’s way with a melody. Like Stuart Murdoch or Andy Sturmer or Emm Gryner, she just has a knack for catchy choruses and often equally captivating verses that are approachable and indelible without sounding derivative. 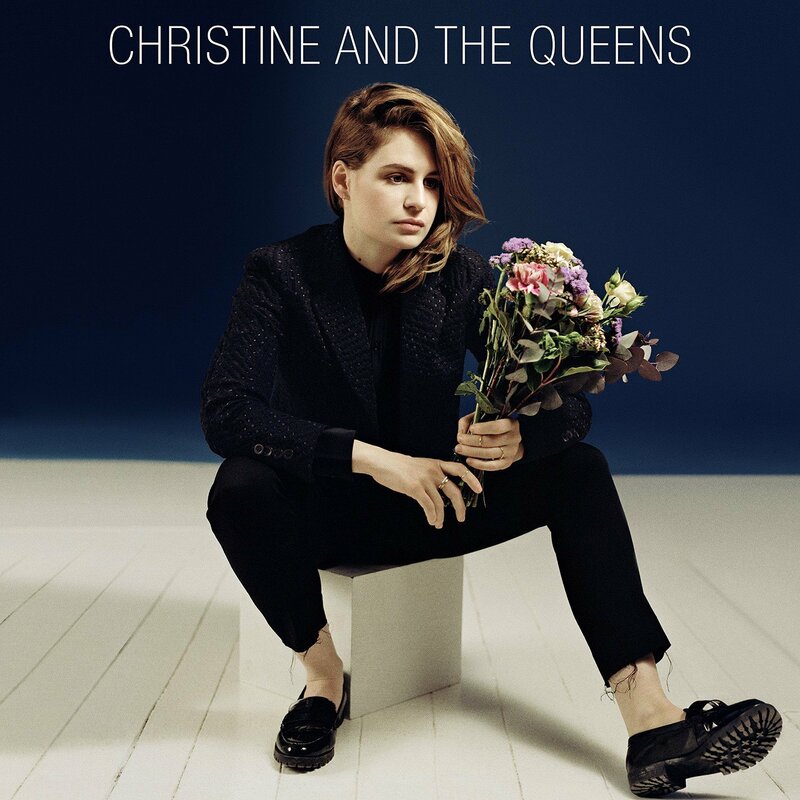 Christine and The Queens’ best known song, “Tilted” (called “Christine” on Chaleur Humaine), is a perfect example. Right at the start, that clipped synth hook (like a snippet of a warped vinyl record) commands attention, along with the “heh, heh” percussive vocal sample woven into the beat. Its bright, brief verses are melodically simple but effective in how their chords carry over to the sing-along chorus: “I am actually good / can’t help it if we’re tilted.” She switches to an irresistibly rapid French rap on the bridge before slightly altering the melody on the final verse: “I’m doing my face / with magic marker / I’m in my right place / don’t be a downer,” she repeats (along with soulful “yeahs” underneath) before it neatly reveals itself as a faultless countermelody to the chorus reappearing on top. “Tilted” is modern nonsense pop of the highest order—in addition to being superbly catchy, it’s also a bold and convincing declaration of self. Occasionally, Letissier’s melodies absolutely define and drive her songs. I couldn’t begin to tell you what “Science Fiction” is about, even in its English version (its lyrical hook goes, “We’re spinning like Mike and Freddy”), but the agility it wrings out of two chords and her kinetic, razor-sharp vocals (particularly the wordless ones, like “na, na-na, na-na-na-na”) are so infectious it doesn’t matter. Similarly, dramatic closer “Here” sidesteps any pretense of delivering wisdom or revelation for pure, visceral emotion in how urgently Letissier repeatedly sings the song’s title in its fiery choruses. Letissier’s melodic instinct and mastery of emotional shaping is most deeply felt on “Saint Claude”. The verses are sung in French—translated, it’s yet another song of love and devotion, interesting less for what’s being said than how it’s said, with certain words swiftly repeated in triplicate. However, it’s the ascendant chorus that whole-heartedly soars: “Here’s my station,” she repeats, as if both making a defense and offering an olive branch, but her poignancy develops each time before she reveals, “But if you say just one word I’ll stay with you.” At the minute-long coda, she mournfully concludes, “We are so lonely in this part of town”; although you feel she’s deliberately left out part of the narrative, it’s also difficult not to acknowledge that it’s all you need to hear to understand or feel its effect. Not surprisingly, the three new songs here are all in English (and the two left off from Chaleur Humaine are in French); more interestingly, two of them are duets. Featuring teenaged Nigerian-American rapper Tunji Ige, “No Harm Is Done” noticeably leans heavier towards contemporary R&B than anything on the album—it’s perfectly fine, but not particularly innovative given what surrounds it. “Jonathan” is far more arresting: queer male singer Mike Hadreas, an inspired choice of a partner (who also performs under a pseudonym, Perfume Genius), takes the entire first verse of this lovely, if straightforward ballad, with Letissier not appearing until the second verse. The other new song, “Safe and Holy”, is, after “Tilted”, her most explicit move for the dancefloor, combining gospel chords with a rock-disco rhythm not dissimilar to Stevie Nicks’ “Edge of Seventeen”. Letissier projects plenty of confidence at such a relatively unseasoned age: she interpolates Kanye West’s “Heartless” on the chorus of “Paradis Perdus”, titles one of her compositions “Narcissus Is Back” without lapsing into esoterica, and crafts music videos that are less promotional pieces than fodder for an art installation (see below.) Fortunately, her saving grace is an approachability one doesn’t always easily detect in art-pop. More than just “one of the guys”, she’s as relatable as a Tracey Thorn or a Jen Trynin. Inviting and inclusive, but also fiercely original, it’s not an easy balance to pull off, or to make appear as effortless as Letissier occasionally does here. If anything, her second album, 2018’s released-simultaneously-in-English-and-in-French Chris, walks a trickier tightrope, with Letissier both visually and conceptually inhabiting the titular male persona throughout its entirety. Time may even prove Chris to be the superior album, with songs like “The Walker”, “Doesn’t Matter” and “What’s-Her-Name” sporting ever-sharper melodies and lyrics. At present, she carries the promise of Kate in 1982, Florence in 2009, maybe even Joni in 1970. Whether she makes good on it or not, I suspect she’ll be forever foraging her own path, and I eagerly await as to where she’ll go next. Up Next: This Thing Was Bound To Happen.